One of the local Italian restaurants we frequent has this amazing salad on their menu and I can never resist ordering it. I’ve been wanting to recreate this salad for a while now and after a bit of experimentation this version is pretty close to the original. The combination of sweet raisins, the sharpness of the cheese and the sweet and sour tang of the dressing is wonderfully addictive. This salad pairs so well with grilled meats and I especially like it with roast pork or duck but we also have it as a side to pastas and braises. The key to this salad is to make sure the cabbage is extremely finely shredded and a mandolin is perfect for this or the finest slicing blade on your food processor. If you don’t have either then take your time and shred as finely as you can with a sharp knife. 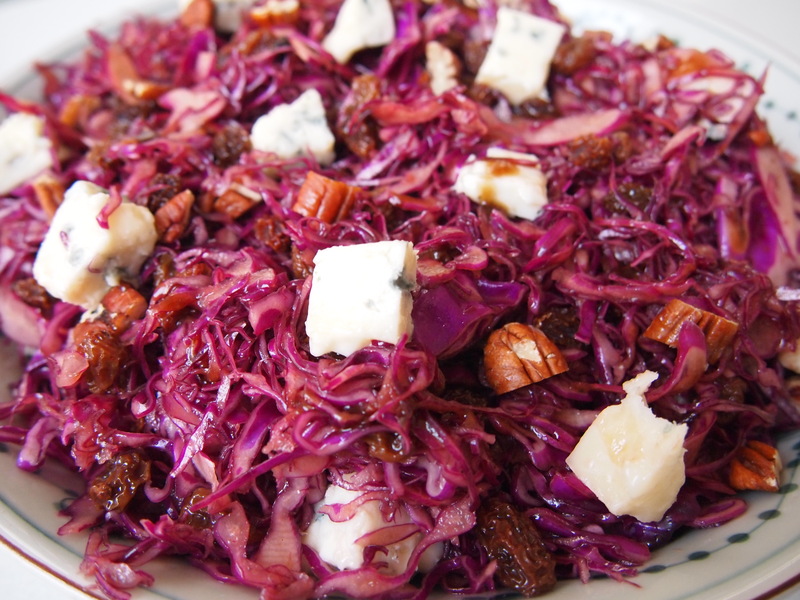 It’s also a good idea to dress the cabbage and raisins with the balsamic vinaigrette in advance so the cabbage has a chance to wilt a little and soak up the dressing – the remaining ingredients of walnuts (although in the picture above I used pecans as I had some on hand) and blue cheese can be added just prior to serving. Place the raisins in a small bowl and cover with boiling water. Leave to stand for one minute then drain and set aside. 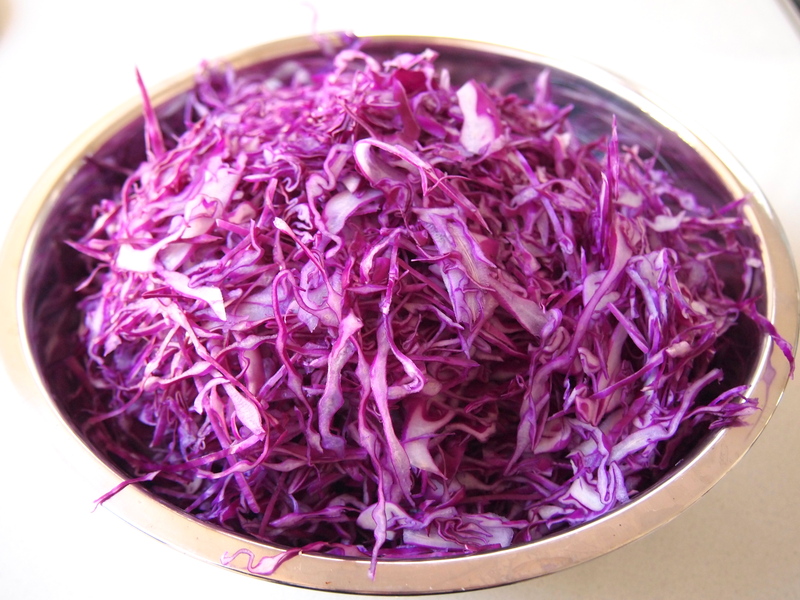 Shred the cabbage as finely as possible using a mandolin or the finest slicing blade on a food processor. Place the cabbage in a large bowl – it will look like a lot of cabbage but it wilts down once it has been dressed. 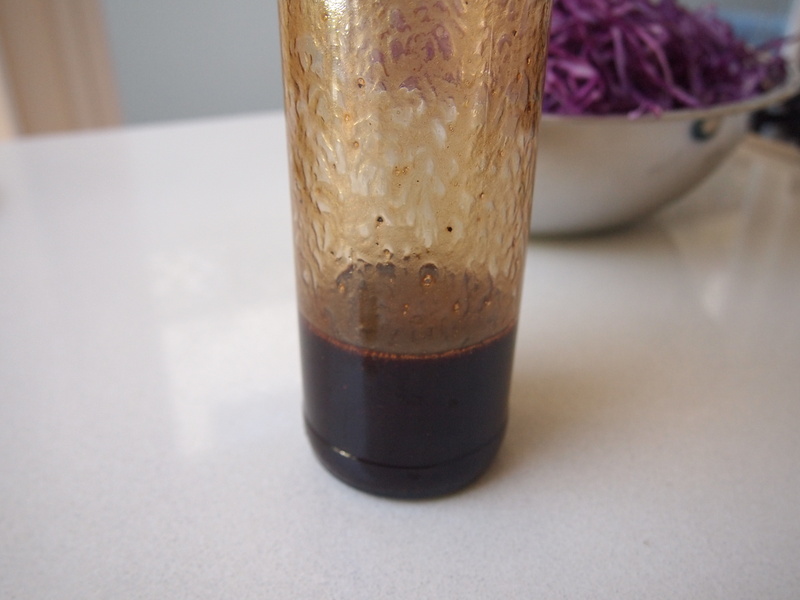 Add the raisins and 3⁄4 of the dressing to the cabbage and using clean hands stir to combine, making sure all the cabbage is coated with the dressing. Cover and refrigerate for about an hour, but it can sit longer without coming to any harm. Bring the salad back to room temperature when you’re ready to serve. 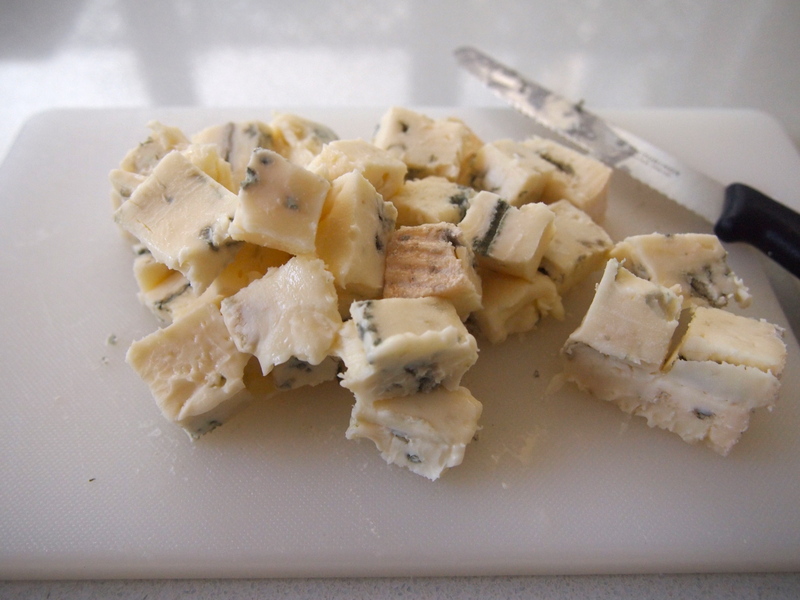 Cut the blue cheese (again the cheese should be at room temperature) into small chunks and add most of them to the salad along with the walnuts. Gently toss the salad making sure you don’t crumble the cheese too much, it’s best to use your hands rather than salad servers or tongs. Place into a large shallow serving bowl, scatter the remaining blue cheese on top and drizzle with the remaining balsamic dressing. 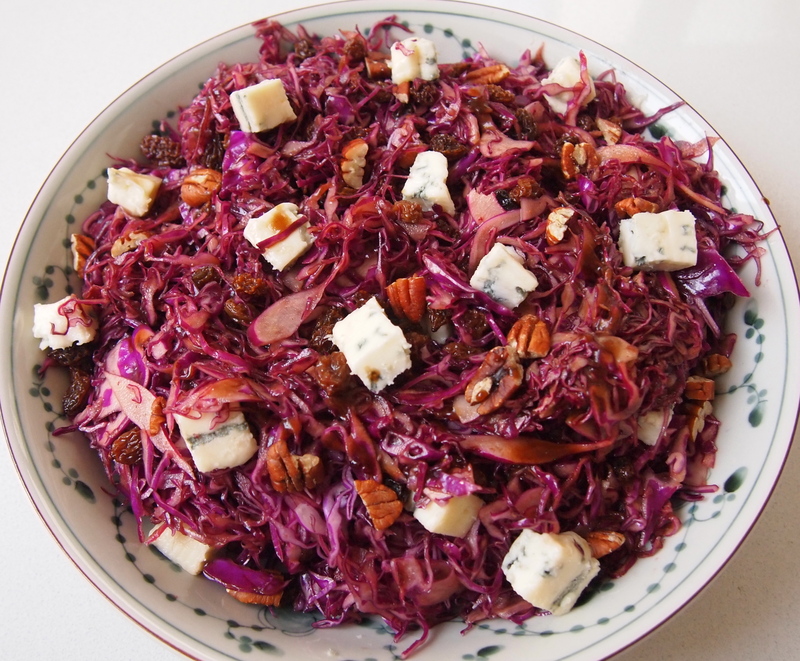 This sounds like my perfect salad recipe, I’m a big fan of red cabbage in salads and the addition of the gorgonzola and nuts makes it sound even better!